" The Academy is considered to be one of the best international flight schools and is the unique component of the national education in Ukraine." Its history began more than 50 years ago. The 60th Military Aviation Flight College was created in Kirovograd in 1951 and prepared the flight crews for Soviet Army Military Air Forces till1960. In connection with the decision of Soviet Government concerning USSR Military Forces reduction, the College was transformed into the Kirovograd Civil Aviation High School. Kirovograd Civil Aviation High Flight School carried out training of aviation personnel for Aeroflot and aviation companies all around the world from 1960 till 1978. In the 60th the new aviation hardware, jet and turboprop aircraft were introduced into Civil Aviation. This fact complicated the process of air traffic and raised the demands to aviation staff. It became necessary to create the civil aviation higher education establishments. Beginning from 1978, on the base of Kirovograd Civil Aviation High Flight School the Kirovograd Civil Aviation High Flight College started functioning. The technical and training base and aviation staff high education programs were improved. In 1993 by the order of the Cabinet of Ministers of Ukraine the College got the status of the State Flight Academy of Ukraine. So, the high quality of training at the Academy is based on the great experience and many years' traditions. During the period of its operation Academy prepared more than 110 thousand of aviation personnel, including more than 4 thousand specialists for 66 countries of the world. We are proud that our graduates work on all main lands of the Earth (except Australia) and hold different posts. Among them are pilots, air traffic controllers, heads of the services, flight crews and detachments captains, chiefs of the departments, air companies and flight complexes directors. 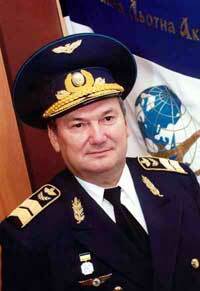 Besides, our graduates are heads of aviation services in Mongolia, Bulgaria, Moldova and several African countries. For the high quality training of Cuba Republic specialists the Academy was awarded with the Cuban order "De la SOLIDARIDAD", and for the great contribution into high-qualified personnel training for Ukrainian aviation it got the silver medal of International Academic rating "Golden Fortune".